It’s strange for me to have to name a beer, but this was one of the first official Sapwood Cellars beers brewed for a local event held last month in Maryland. But why stop at naming just a beer when you can attempt to name a whole new substyle for hazy IPA/wine hybrids with Vineyard Style! 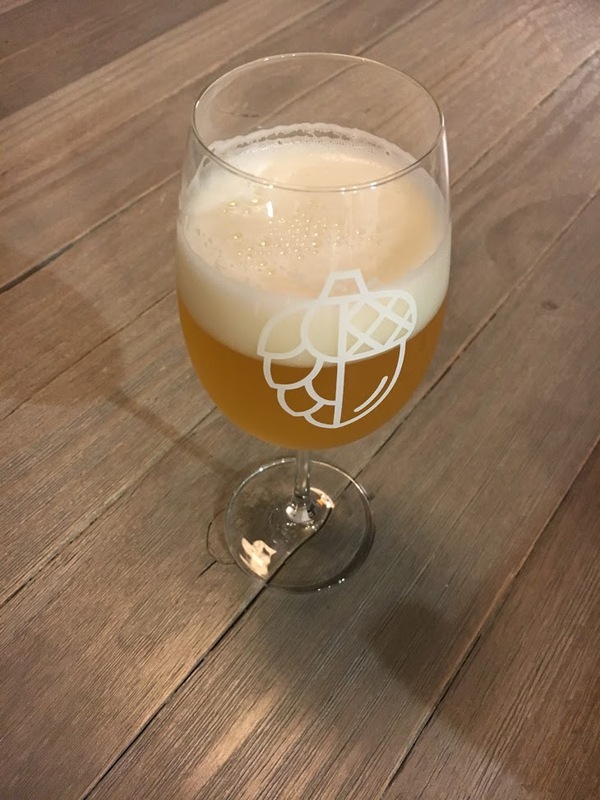 Concentrated is exactly that, a wine/beer hybrid concept that I have been thinking about for awhile, combining some of the bioflavoring science and ingredients of aromatic winemaking to the soft and fruity base of a NEIPA. Inspired mainly by a chapter I’ve drafted for a book that I promise I’m making progress on (shooting for an early summer finish), I’m interested in how wine science might be useful for brewing interesting hoppy beers. I’ve experimented a little bit already with this this concept, like in a pale sour with local Concord Grapes, only this time I wanted to create a clean beer with a full on wine-like bouquet using a co-fermentation of hops, wine yeasts, ale yeast, and grapes. The beer started as a typical hazy IPA with a grist of 2-row, malted wheat, flaked oats, and chit malt late hopped with thiol rich (like wine grapes) Columbus, Nelson Sauvin, and Simcoe. Mashed high at 158°F, I wanted to encourage as much sweetness as possible in the base to potentially aide in saving the NEIPA mouthfeel assuming the later addition of wine grapes and wine yeast might dry out the beer a bit. Although I’d love to experiment with fresh wine grapes or must, for this beer (and being December in Maryland) I purchased a liter of white grape concentrate to incorporate into the NEIPA mid-fermentation. I understand this particular concentrate is used in winemaking as a supplement to encourage a little sweetness, body, and alcohol. The sugars from the entire liter of white grapes added on day four of fermentation boosted the IPA into DIPA territory and also gave the blend of wine yeast a more familiar environment work in. The wine yeast blend, something I’ve used before, is called Alchemy II and was scientifically formulated with strains to boost fruity volatiles in wine. I understand the predominant strain in the blend to be Vin 7, which alone is described for its ability to “releases passion fruit, grapefruit, gooseberry and guava aromas and flavors from their non-aromatic precursors in must1 Both volatile thiols from grapes and glycosidically bound flavor compounds can be released or enhanced with enzymes produced by yeast during fermentation, the fun part is hops also contain many of these same compounds. Because of this, at the time of adding the white grape concentrate and enzyme proven wine yeast blend, I also dry hopped the beer with wine-like Nelson Sauvin and German Hallertau Blanc. When I hydrated the 6 grams of wine yeast, I also added some yeast nutrient hoping to encourage a healthy fermentation considering many of the original nutrients were depleted from the ale ferment. The fermentation that was slowing from the primary ferment quickly jumpstarted after the new addition of hops, yeast, and grape concentrate. It was a super hazy and murky re-fermentation (picture below). Because some of the strains in the Alchemy II wine yeast blend are both killer positive and negative, I thought it might be best to give the S-04 a head start before complicating things, which was part of the reason for the day four addition of wine ingredients instead of brew day. Murky re-fermentation after adding grape concentrate, wine yeast, and first round of dry hops! Another potential benefit from the addition of wine yeast is increased glycerol production, which could theoretically boost the mouthfeel of the beer. For example, Alchemy II advertises glycerol production (with grapes) to be at 5-7 g/l2, whereas a NEIPA I had tested for glycerol production fermented with WLP007 and came back at just 1.8 g/L. Before packaging, I added one more small addition of dry hops with a short contact time of 24 hours beginning a soft cold-crash at the same time I added Nelson Sauvin and Hallertau Blanc to double down one last time on wine aromatics. I then kegged the hybrid beer with .50 grams of Hexalone to further boost mouthfeel and improve the head cling. Because Hexalone imparts bitterness similar to iso-alpha-acids3, I kept the addition low. The aroma out of the glass is definitely wine-like, intense green fruit aromas dominate (green grapes, kiwi, and pear). There’s a familiar wine hotness to the beer, more warming than I would expect a DIPA to have, but it feels appropriate when thinking about a drinking a glass of wine. I’m glad I took steps to try and boost the mouthfeel (oats, protein-rich wheat, glycerol, and Hexalone) I wanted more of hazy IPA soft mouthfeel compared to medium-bodied white wine, I think it’s somewhere in between the two. There is a bit of spicy/smokey aroma in the background of this beer that I’d like to experiment with ways to reduce or eliminate. Perhaps with a different stand-alone wine strain or even just lowering the wine fermentation stage temperature as much as possible (58-60°F). 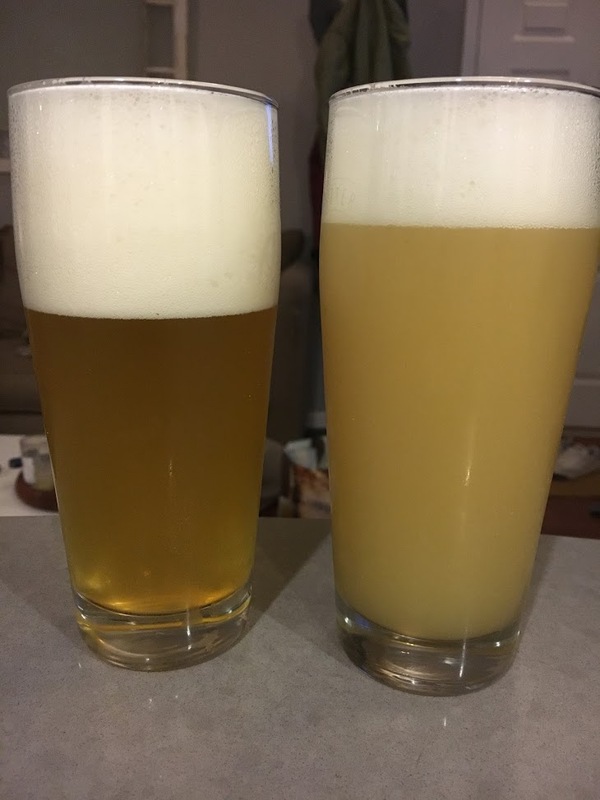 In terms of physical appearance, the wine beer cleared up a little bit after some time in a keg, especially compared to a hazy IPA that was part of the same mash (split batch) but fermented with RVA 132 and no white grape concentrate. Below is a picture of the two beers six weeks after packaging. I like this wine/hazy beer concept a lot and something I plan to continue brewing and experimenting with. There are a lot of different areas you can go, you could incorporate some wood with a wine barrel primary fermentation, use different hop varieties, experiment with other wine strains (or Brett), and alter the source of grapes with different varieties, juices, grape skins leftover from winemaking (pomace), or even just different concentrates. Scott, great experience, thanks for sharing! I noticed you used mash hops. The IBU calculation is the same as 60 minute addition? Is its bitterness smoother? Because of the temperature of the mash, mash hopping shouldn’t have much of an IBU impact. I like doing it to allow alpha acids to begin removing any copper added from the grist. Oops, hit the submit button before saying thanks for sharing this interesting recipe. I love making beer-wine hybrids but haven’t considered using wine yeast as well. Did you test this recipe for glycerol in order to compare? I chose not to this time (it’s a $300 test). which is 68 Brix… so 1L = 680 g of sucrose. This is equal to ~1.5 lbs of sucrose, at 46 ppg this would be about 12.5 gravity points in 5.5 gallons. I think. Am I not calculating this correctly or was this a small batch? Very cool experiment! I’m always on the lookout for ways to get my girlfriend to perhaps enjoy a beer. First off reminds me of the dialed in series done by Trillium, though I’m sure there’s is merely a wine grape conditioning on an ipa. Your last paragraph is the kind of stuff I’m interested in producing (i.e., wine barrel aged IPAs with brett). Hill Farmstead Sue and Veil’s Escape are two in that style that I just love. Though, again, I highly doubt there is wine yeast involved in either. Thanks for publishing these experiments; it gets me excited to experiment with my brews as well! Really want to try this out. Can you explain the water volumes? How much went into the fermenter? I want to know how much volume you added the 1L of grape juice concentrate to. Thanks! There was probably about 5.5 gallons of beer in the fermenter prior to adding the white grape concentrate. I’ve been following your blog for quite some time now, looking forward to buy your book when it is done! Question regarding the wine beer; I’m considering brewing something in line with this, but I’d like to try to ommit the concentrate. Wine yeast is new territory for me. 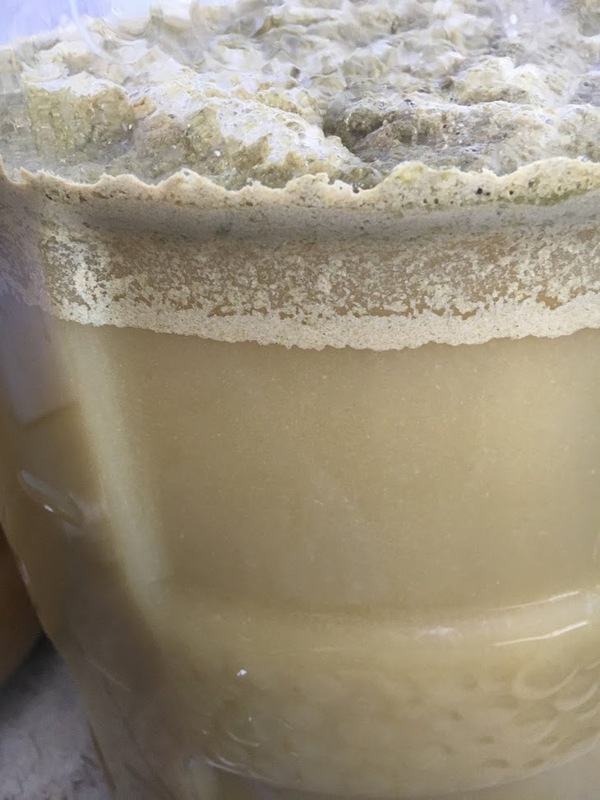 Do you have any idea about how much of the fermentables the wine yeast would be able to chew through if the grist was kept the same as per your recipe? Process wise I was thinking something in line with a mixed fermentation, add the wine yeast, then finish it of with S04 (I tend to get notes of green apples from it, which is perfect) as the fermentation slows down. Switching out the S04 with wlp 645 is something I’d think would be really interesting too! What strain of wine yeast? I’ve had different finishing gravities with typical grist with wine yeast from 1.008-1.025 depending on the strain. Well, I like the description of that Alchemy II, but I can’t seem to find it anywhere in Europe. I can get Vintner BV7, that seems like a decent substitute.